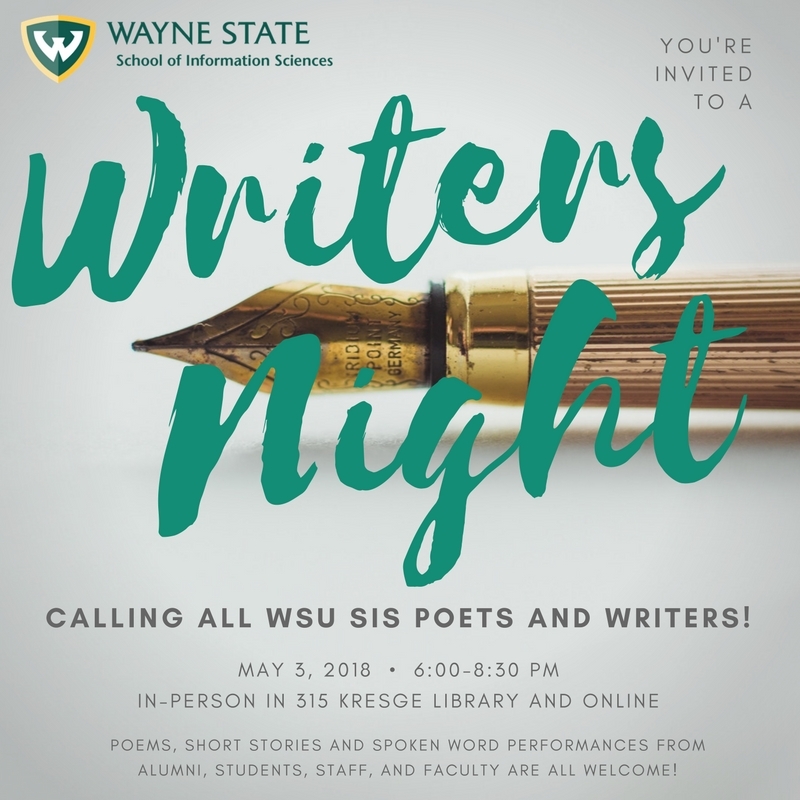 The Wayne State SIS community is fortunate to have many experienced writers as students, alumni, and faculty. With this in mind, SIS will be hosting its first Writers' Night on Thursday, May 3rd in Room 315 Kresge Library at 6pm. Poets, Short Story Writers, and Spoken Word Performers are encouraged to prepare a five minute reading of their work to share at the event. Please limit your work to a 5-minute reading. Poets, Short Story Writers, Spoken Word Performers are all welcome and all alumni, students, staff, and faculty are encouraged to join us. For more information about this event, please contact Kim Schroeder at 313 577-9783 or ag1797@wayne.edu.